About the topic "90 degree clockwise rotation"
"90 degree clockwise rotation" is the stuff which is required to the students who study math in the grade level 6. 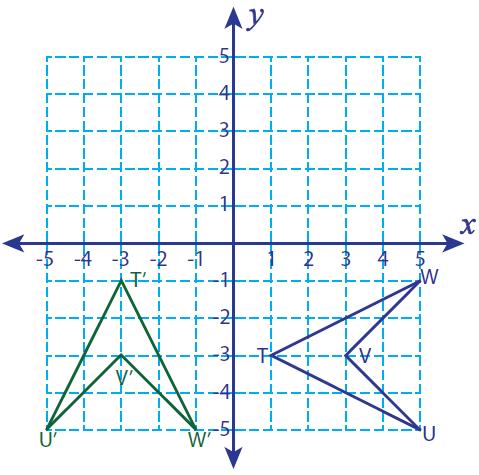 When we rotate a figure of 90 degrees clockwise, each point of the given figure has to be changed from (x,y) to (y,-x) and graph the rotated figure. To have better understanding on "90 degree clockwise rotation", let us look at some practice problems. 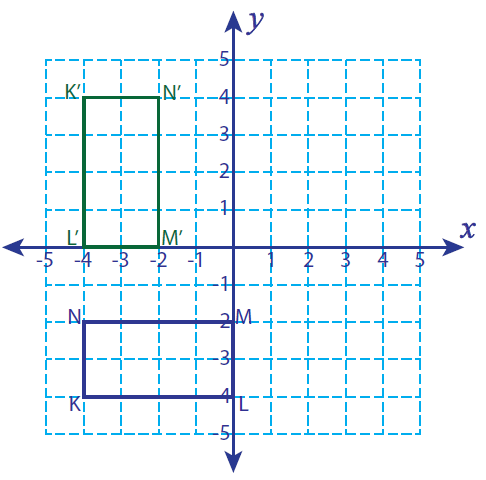 Let K (-4, -4), L (0, -4), M (0, -2) and N(-4, -2) be the vertices of a rectangle. 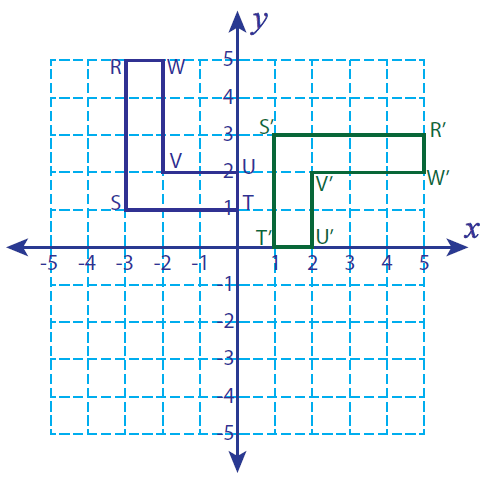 If this rectangle is rotated 90° clockwise, find the vertices of the rotated figure and graph. 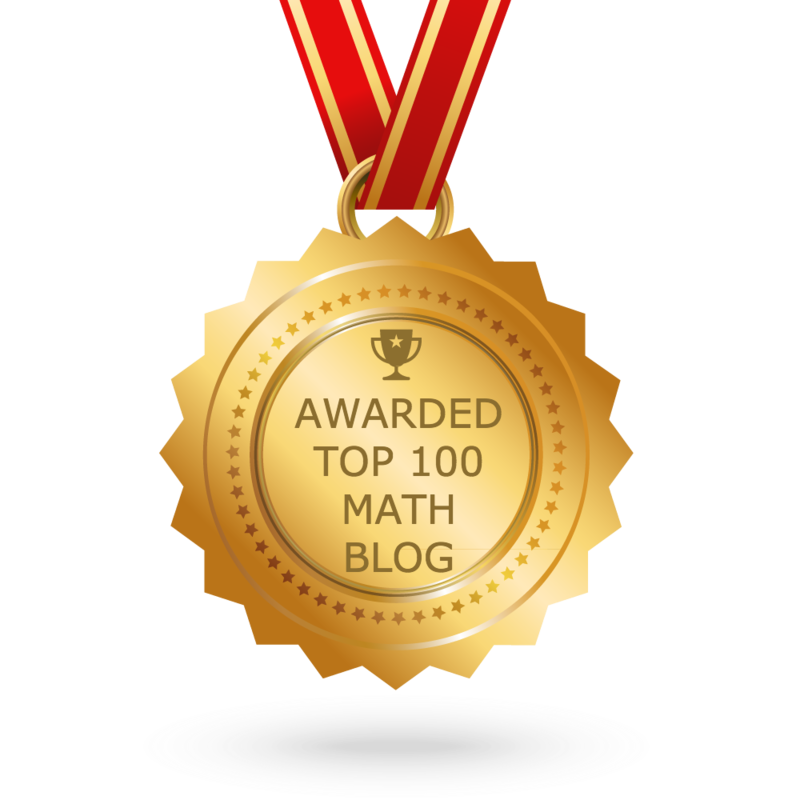 Let us look at the next problem on "90 degree clockwise rotation"
Let R (-3, 5), S (-3, 1), T (0, 1), U (0, 2), V (-2, 2) and W (-2, 5) be the vertices of a closed figure.If this figure is rotated 90° clockwise, find the vertices of the rotated figure and graph. 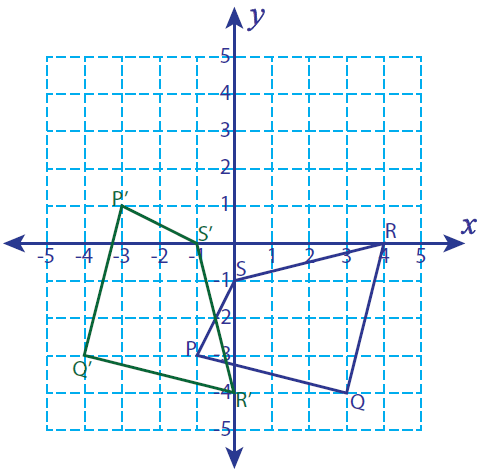 Let P (-1, -3), Q (3, -4), R (4, 0) and S (0, -1) be the vertices of a closed figure. 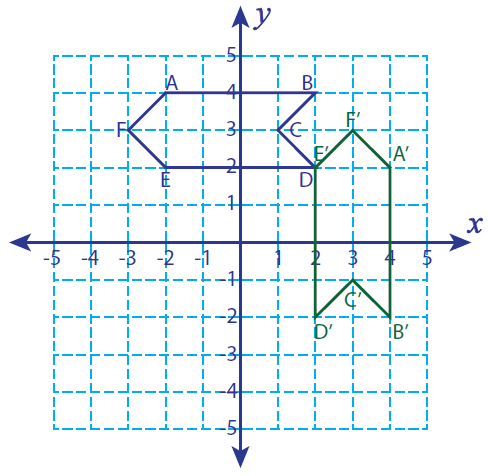 If the figure is rotated 90° clockwise, find the vertices of the rotated figure and graph. Let T (1, -3), U (5, -5), V (3, -3) and W (5, -1) be the vertices of a closed figure.If this figure is rotated 90° clockwise, find the vertices of the rotated figure and graph. Let A (-2, 4), B (2, 4), C (1, 3) D (2, 2), E (-2, 2) and F (-3, 3) be the vertices of a closed figure.If this figure is rotated 90° clockwise, find the vertices of the rotated figure and graph. We hope that the students would have understood the stuff given on "90 degree clockwise rotation"
Apart from the stuff given above, if you want to know more about "90 degree clockwise rotation", please click here.